Welcome to Dolphin Shirt Company. San Luis Obispo Custom Screen Printing. With over 30 years of experience in the custom screen-printing and embroidery business, we are your one-stop shop for your garment needs. 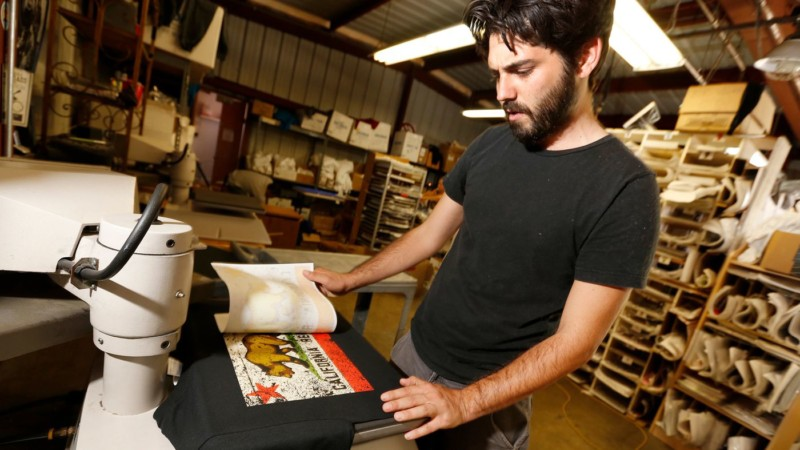 In addition to our custom printing and embroidery shop, we boast a full-service art department, shipping department, and digital direct-to-garment printing. Printing is our passion, and we are dedicated to customer service, quick turnaround times, and the highest quality printing available. In 2016 we were profiled in the Los Angeles Times. Read more about our business and history here. We respect your privacy - Dolphin Shirt Company will never share or sell your information.